With the variety of Dodge steering box and sway bar upgrades available on the market today, finding a steering box brace that works with a specific steering box or sway bar can be confusing. This situation is compounded by the fact that PSC Motorsports has discontinued its popular steering box brace (PSC-SB400K). Enter the Creative Fabworks steering box brace, which enters the market with a "one size fits all" perspective. 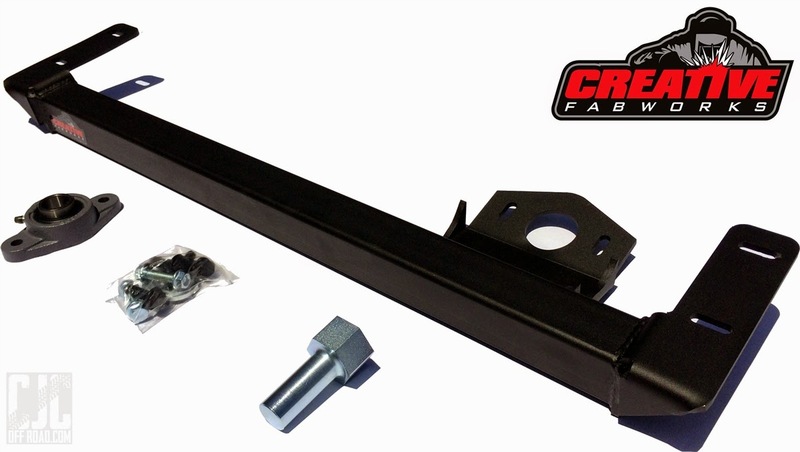 The Creative Fabworks steering box brace works with aftermarket sway bars from manufacturers such as Carli and Thuren as well as with the "Mopar Big Box" steering box upgrade that Mopar released for 2003+ trucks. If you're been pondering which steering brace to order for your truck, it's a good possibility that the Creative Fabworks steering brace will fit your truck! For more information about the Creative Fabworks Steering Brace, Click Here!